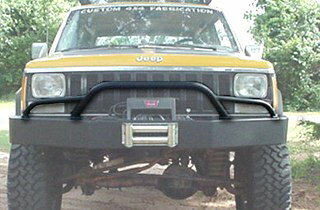 Designed for especially for all our XJ bumpers, including the ProRock series. PreRunner bar features two light tabs along the top of the center hoop. Uses existing mounting holes and requires drilling two additional 7/16" holes.